Director Bio: Anahita Ghazvinizadeh got her BFA in film from Tehran University of Art and her MFA in studio arts from The School of the Art Institute of Chicago. Anahita was selected as one of the 25 New Faces of Independent filmmaking in 2013 by the Filmmaker Magazine, and was in the list of 20 rising female filmmakers by IndieWire in 2017. She was a writing fellow at the Sundance Screenwriters’ Lab in January 2013, artist-in-residence at Museum of Fine Art Houston's Core Program 2013-2015, and has been mentored by filmmakers such as Jane Campion and Abbas Kiarostami. Doha Film Institute Grant, Tribeca Film Institute's IWC Filmmakers' Award, Sarah Jacobson Annual Film Grant, Sundance Institute/ Doris Duke Foundation Grant for Islamic Arts and George C. Lin Emerging Filmmaker Prize are among her professional accomplishments. 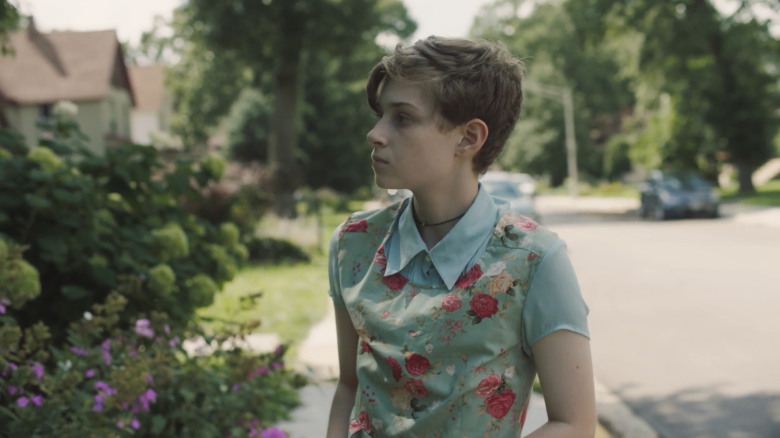 Anahita's feature debut “THEY” premiered in the official selection of Cannes Film Festival 2017 and has showed in several festivals since then, including Torino Film Festival in Italy, Busan International in Korea, Deauville Film Festival in France, Berlin Feminist Film Week, BFI Flare in London, InsideOut in Toronto, Woodstock Film Festival and NewFest in New York. Reviews of her work have appeared in Chicago Tribune, IndieWire, Screen Daily, Village Voice, Le Figaro and other international press.